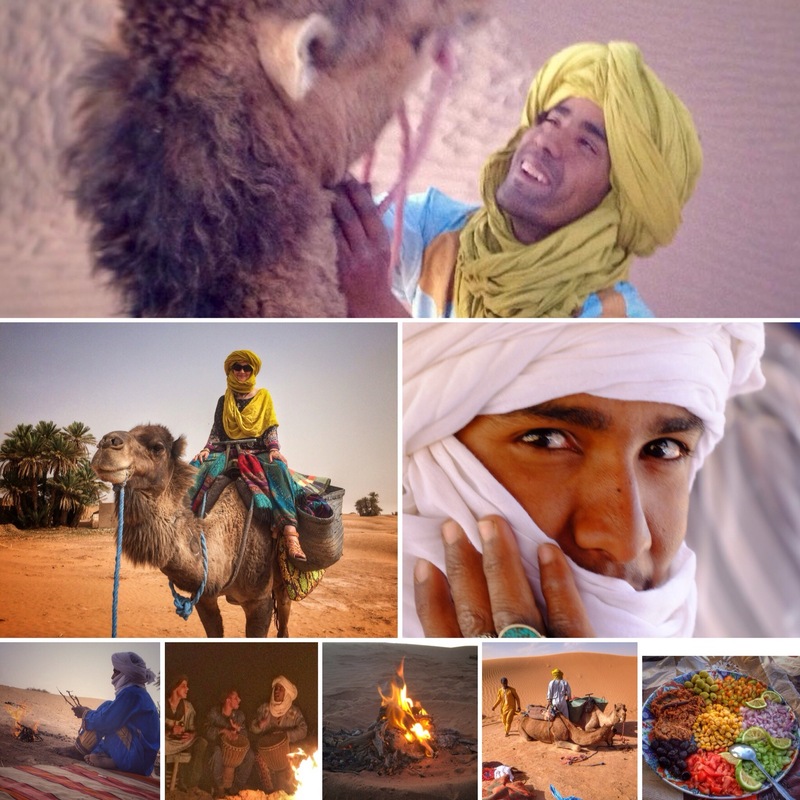 The Sahara desert, a place of mystery beauty and stories, here is one Moroccan tale of how the Sahara was created. A long time ago, when the earth was new, it was one huge garden filled with tall palm trees and perfumed jasmine, and the songs of nightingales filled the air with gentle melodies. At this time all people were loyal, trustworthy and honest, no one had ever even heard the word ‘lie’But one day, someone told a lie, just a small and unimportant lie, but a lie all the same and it heralded the end of the age of innocence for the people of the earth. And so lie after lie, little by little, the Sahara came into existence, as God threw down grains of sand from the heavens above. But here and there the odd oasis can still be found, traces of that original beautiful garden, because not everyone lies. 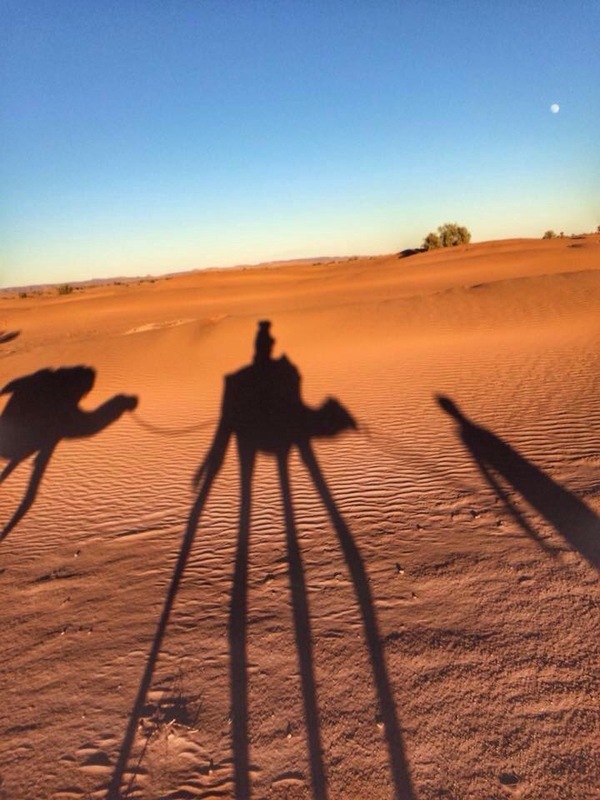 Trekking with camels in the desert is a unique and sometimes almost meditative experience with their gently rocking gait and the sound of feet padding across the sand. 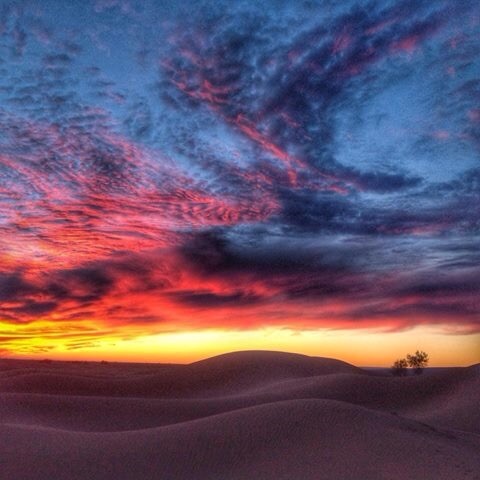 It is by far the best way to experience the desert, you will see more and it is kinder to the environment, the desert is a fragile ecosystem and appreciates your care. 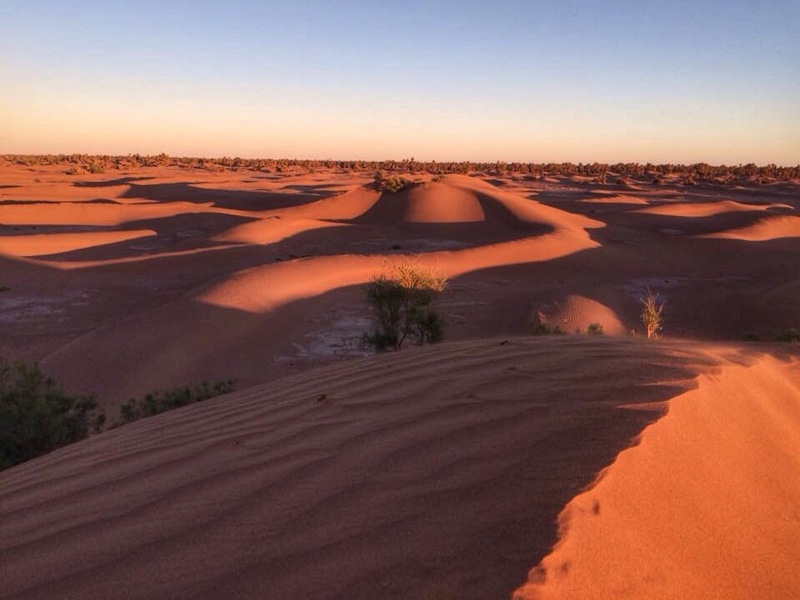 From our southern base of M’Hamid you can trek across the hammada (stone desert) all the way to Erg Chegaga’s undulating sand sea, or just journey out for an overnight camp in the quiet expanses of the Sahara. As you cross the Bousnaïna plain you may kick up pottery, fragments of villages long gone as well as scatterings of little white seashells and belemite fossils from an even more distant past. When you reach the dunes of Chegaga they are so perfect and pristine you feel just a little bit guilty climbing their immaculate curves. Night, when it comes, is sudden and dark with a starry sky so bright you’ll feel you’ve journeyed a little closer to heaven. If camel riding is not for you we can arrange trips by 4×4 and some tours will include this.